Famous for their throttle boring and coil amplifier, these products can increase your travelling mileage by ensuring better combustion of fuel. This can also achieve better fuel saving. In addition, you can also find other products to enhance your car power at Gary's Engineering. Brought my scirocco here for a major service.. Car feels better n smoother now. Will recommend my friends to give gary a visit! 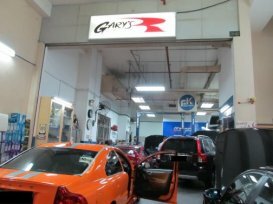 This is the first time i have visited Gary Engineering, and to be honest the whole experience was good.